Of all your eco-conscious decisions, none have a greater impact than how you choose to care for your baby. Beyond an infant's carbon footprint (which is huge), think about what greening your baby means for the rest of your child's life. There are few things more important to a child's most critical developmental stages than a healthy, non-toxic lifestyle. From day one, you can set a precedent for green living that will affect their health and behavior from childhood to adulthood. Of all the choices for your baby, bottles should be at the top of your list, whether it's for pumped breast milk, organic baby formula, juice (not from concentrate) or water (purified). 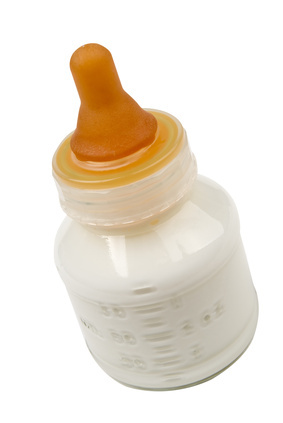 Bisphenol A (BPA) is the number one offender in conventional plastic baby bottles, an endocrine disruptor that can affect hormones and, in turn, your baby's development. 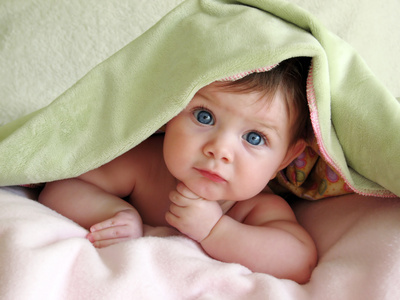 Synthetic fabrics contain nanoparticles small enough to be absorbed through your baby's skin. So when selecting baby clothes, follow the same green clothing guidelines that apply to you. Eco baby fashion is big business so you should have no trouble finding green styles and designs you like. Secondhand from family and friends is always a good green option, as is making baby's clothes under manufacturing conditions you know and control. Just remember, one of the best ways to green your baby's lifestyle is to keep consumption at a minimum. As with toys and other accessories, keep clothes to the bare necessities, keeping in mind that babies outgrow their outfits fast! In the U.S., we use 49 million disposable diapers a day! And that's not the worst of it. Yep, here comes another exclamation point. These petroleum-based diapers take 200 to 500 years to decompose! What a shame that waste which is perfectly biodegradable and compostable is being preserved for centuries. Beyond what that means to the planet as a whole, it's disturbing on a personal level to think our diapers from our childhood are still out there, our waste preserved inside. Do the next generation, and the one after that, and the one after that a favor - use cloth and/or compostable diapers instead. There are actually some hybrids made of cloth and removable biodegradable parts that you can flush down the toilet. Fortunately, cloth diaper options today aren't what you may remember from your own childhood. They've come a long way from the plain white squares with safety pins to the fun, fitted designs we have now, made from organic cotton, hemp or bamboo, with convenient snaps and velcro. Compostable diapers, actually compost them! Many people assume that compostable products will break down just fine in the landfill. However, the composting process is dependent on just the right balance of air and moisture. Granted, they will certainly decompose faster than petroleum-based diapers, but packed down in an airtight landfill, that decomposition process will take far longer than simply disposing of them as intended - in the compost bin. Just be sure to have a separate bin for waste compost (baby and pet) and only use it on ornamental plants, not edible fruits and vegetables. Though it starts with the best of intentions, saturating your home with antibacterial cleaners can actually do more harm than good. Studies show that children growing up in homes where antibacterials are overused tend to develop more allergies, asthma and eczema. Plus, exposure to some germs is a necessary part of the immune system-building process. Natural homemade solutions or non-toxic, biodegradable store-bought cleaners will do. When cleaning your baby's environment, simply follow the same cleaning product guidelines that apply to the rest of your home. Lead may be banned in children's toys, but it still shows up, especially in cheap toys made in China where the majority of toys are manufactured. Other dangerous substances often found in children's toys include arsenic, cadmium and mercury. To be on the safe side, stay away from cheaply-made plastic toys and opt for organic cloth and sustainable wood toys instead. Of course, this is much easier said than done considering that it's hard to control what gifts your baby receives from family and friends. One thing you can do is set a precedent from the beginning, registering for your baby shower at online stores that carry only eco-friendly products. 1. How Many Solar Panels Will I Need? 2. What are Wind Turbines and How do They Work? 3. Are Wind Turbine Blades Recyclable? 4. What are Carbon Credits? 5. I Would Like to Recycle - How Can I Get Started? 6. Do You Have any Green Energy Saving Tips? 7. Are There Solar Energy Tax Credits Available? 8. Can I Get a Tax Rebate After Purchasing an Alternative Fuel Vehicle? 9. How Can I Make my Home and Garden More Eco-Friendly? 10. How do I Find a Reputable Solar Panel Manufacturer? 11. How Can I Offset My Emissions Using Carbon Credits? 12. Weatherization Assistance Program - What is it? 13. How Can I Make Money in this Green Ecomony? 14. Is it Possible to Practice Conservation at Work? 15. What does Renewable Energy Really Mean? Last Modified - About an Hour Ago. ©2006-2013 Web Nation, Inc. all rights reserved. Alt Fuels Now!™ is a Web Nation® website.